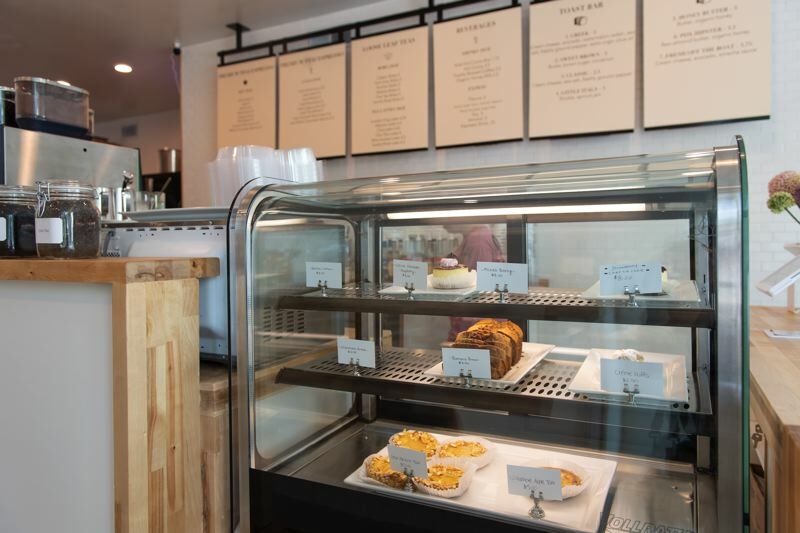 The new coffee shop is owned by the local businesspeople behind popular restaurants Pac Thai and Bites. There is a new coffee shop in Forest Grove. 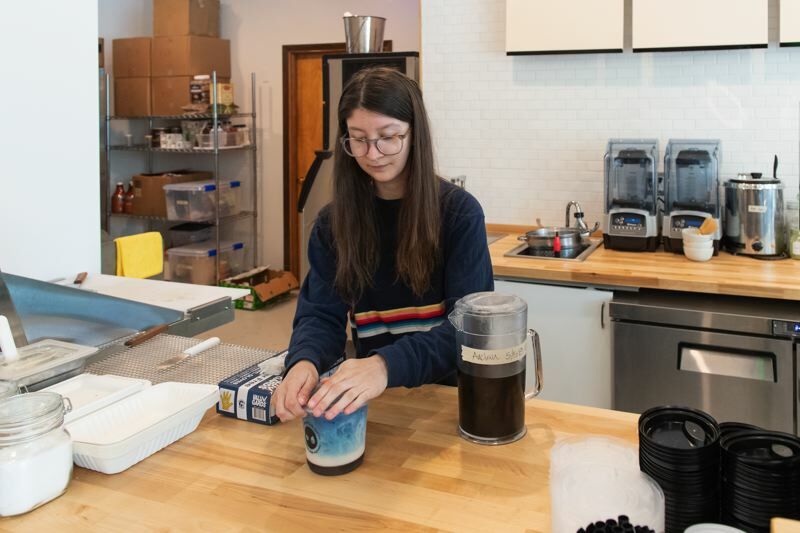 Named Kafé, the new business held its grand opening Saturday, May 5, at 1832a Pacific Ave.
Fon Khunsamart, owner of Kafé, said, "We wanted to bring something different to Forest Grove. All our premium coffees are fair trade from Thailand and are shade-grown, so they have a smoother flavor." All the drinks are available with soy or almond milk for vegans and those who are dairy free. Kafé also offers tea drinks that aren't available elsewhere. "I love tea and wanted to share my passion with others in Forest Grove," Khunsamart said. One of the teas Kafé offers is called anchan. It's a floral tea that brews blue naturally. It can be prepared hot or iced — and yes, it really is blue. In addition to this exotic offering, Kafé also serves staples like Thai iced tea and Earl Grey. Most of the teas are grown in Thailand, Khunsamart's home country, except the matcha, which is from Japan. The teas are fair trade and grown in just one region of Thailand. Perhaps the most noticeable feature at Kafé, though, is the toast bar. "We love it ourselves, and started with what we like," said Khunsamart. The toast bar features choices ranging from the simple "honey butter" with organic honey to the more complicated "Greek" toast with watermelon relish. "We are working on a vegan bread for our toast, but it isn't available yet. We will also have baked goods from a bakery in Portland," Khunsamart said. It's not all coffee, toast and tea. Kafé has croissants, cheesecake, sticky buns and other treats as well. Khunsamart and her husband also own the Pac Thai and Bites restaurants in downtown Forest Grove. Asked what their plans for the future are, Fon Khunsamart said, "We aren't stopping, but we don't know what is next. We need to wait and see what Forest Grove needs." Bright and friendly with blond wood, subway tiles and colorful original art, Kafé is in the former Fuiten Plumbing location across Pacific Avenue from the Jesse Quinn apartments, which are currently under construction. The Khunsamarts have been working on their space since September. "We liked that it was round and an easy location so that you could just pull up and go," Fon Khunsamart explained. She added, "We don't want to disappoint. If we were going to do it, it had to be fair trade, premium coffee and loose leaf teas from Thailand. We are just excited and have been getting good feedback." Kafé is open 7 a.m. to 7 p.m. daily. Unlike many other downtown restaurants, it is closed neither Sundays nor Mondays.